From just 13,000 tons in 1994, Indicaa is proud to have crossed the milestone of One Million Tons in trading volumes during the calendar year 2014. Since then, the growth in volumes have been exponential and during 2018 Indicaa recorded a new milestone of 1.70 Million tons. Though there exists no official data base for this industry and trade, Indicaa believes that it is one of the largest company in the world in the containerized trade of recyclables. 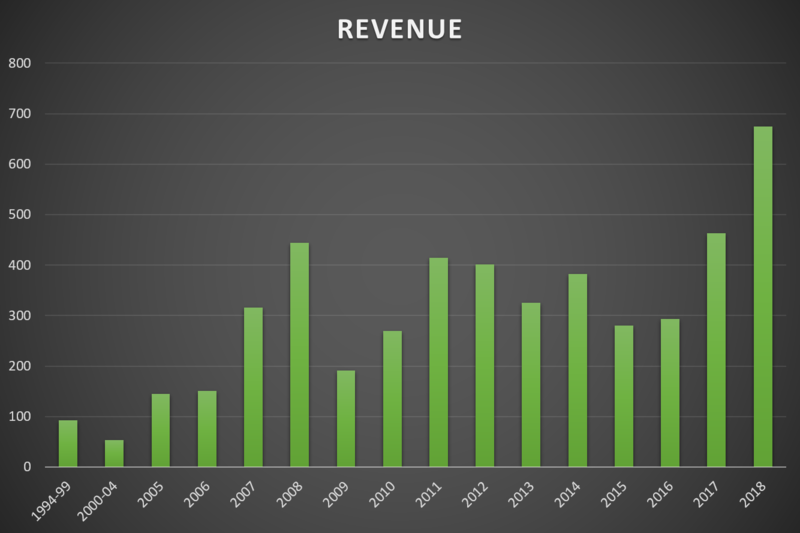 A look at the graph below demonstrates how Indicaa’s volumes have grown exponentially over the years. 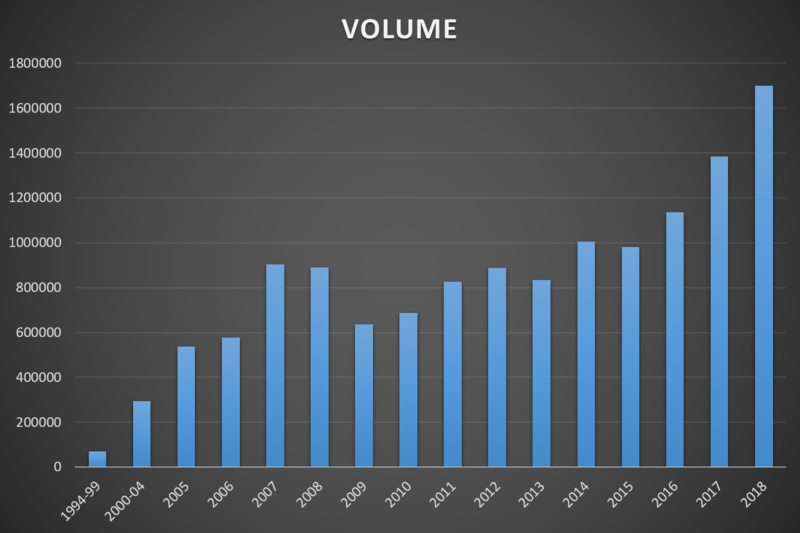 Growth in volumes has naturally led to increased revenue. From just US$ 3 million annual revenue in 1994, Indicaa’s topline has risen to US$ 675 Million in 2018. Today Indicaa is the world’s leading transnational in the containerized scrap metal trade. 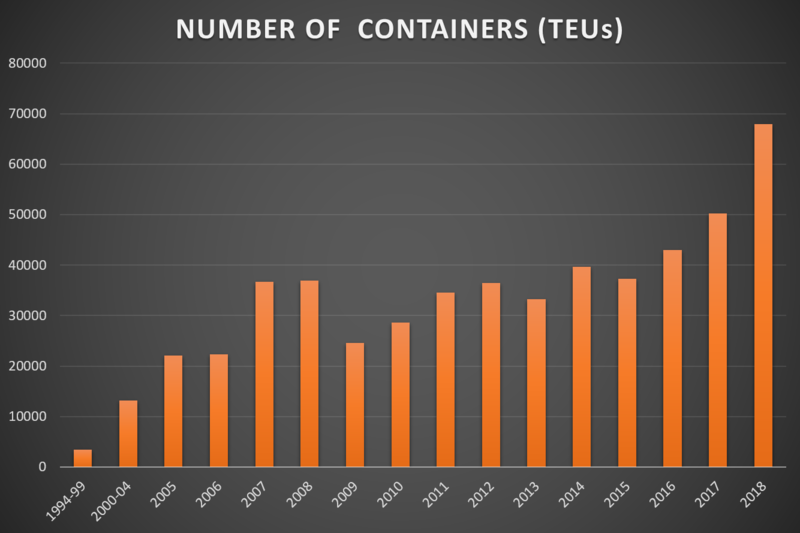 No company in the world handles as many containers as Indicaa does, a fact that has been acknowledged by several leading shipping lines with whom Indicaa works. The following graph demonstrates this achievement.